During January and February the Group of 3 had art class once a week which I taught. This has been good and bad. Good, because lesson prep for an art class is fun! Bad, because there is so much I don’t know. 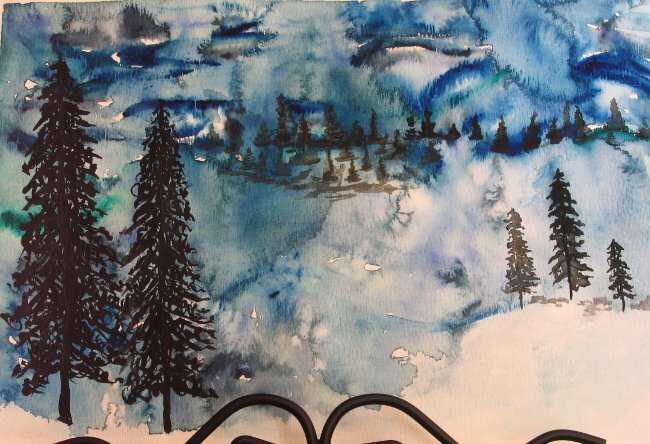 Our first piece of art was a watercolour snow-scape with silhouetted trees. 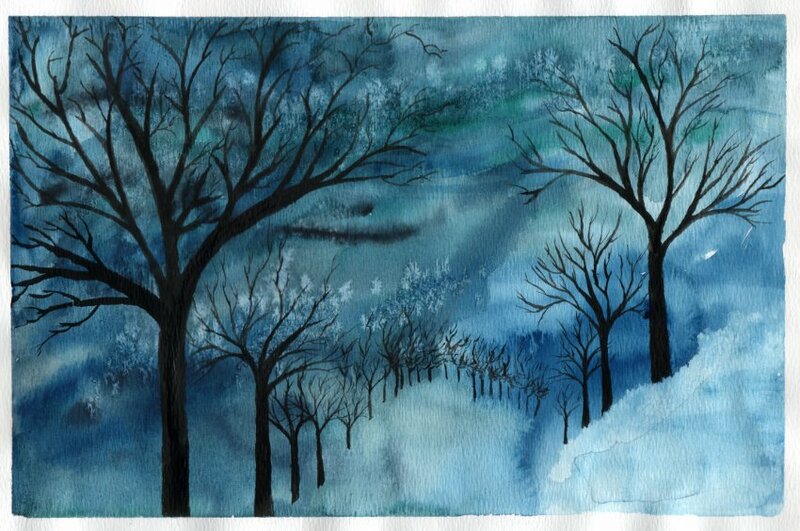 The first step was to create the background which was a combination of snow and sky. We wet the whole paper and used different blues with a little black to make a swirly, abstract sky, leaving some areas white to suggest snow. While that was drying we practiced drawing winter trees, either bare deciduous or different kinds of conifers. 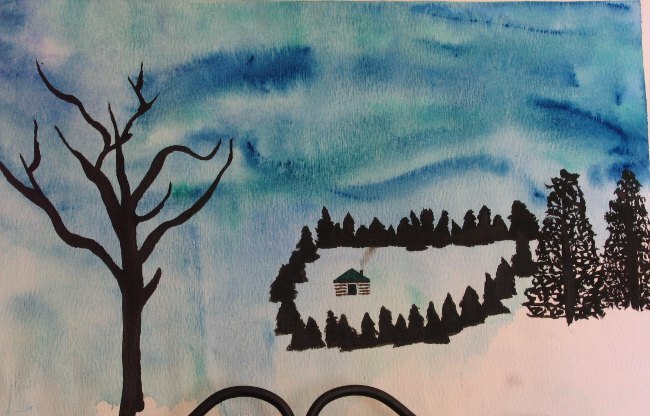 The next week we added silhouettes of trees to our snowscapes. Here are some of the paintings by the students including L15’s above. There are a couple more snowscapes I will feature later when the finishing touches have been added. This entry was posted in Hand made, Homeschooling on March 5, 2010 by Heather. Wow! Those are beautiful! Great job! Nice idea. Think I might give it a try. As a homeschooling mom who values creativity and tries to plan captivating art lessons for her children, I can totally relate to this post!!!! LOL The results above are fantastic!!! I especially love L15’s trees as I have not mastered the fine art of painting such wonderful branches.